C-CLASS (202) 2.4/2.6/2.8/3.2/4.3 - 1998-00. CLK (208) 3.2/4.3/5.4 - 1997-03. E-CLASS (210) 2.4/3.2/4.3/5.5 - 1997-03. S-CLASS (220) 2.8-3.2-4.3-5.0 - 1998-03. 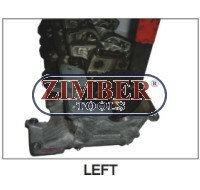 SLK (170) 3.2 - 2000-03. M-CLASS (163) 3.2/4.3/5.4 - 1998-03. 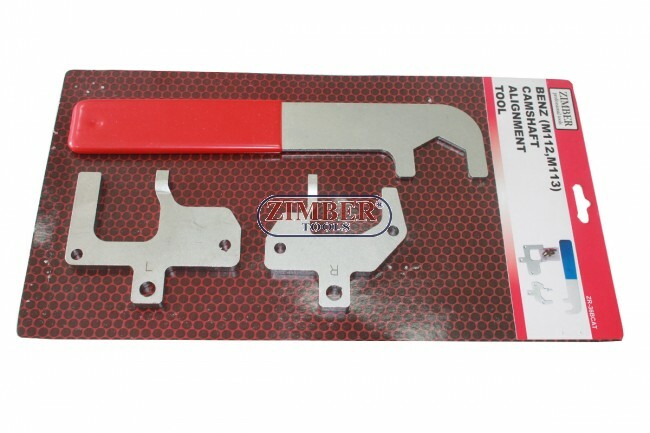 Engine Timing Tool Kit for Mercedes-Chrysler-Jeep, 8-tlg. Diesel Engine Timing Chain Lock Tool Mercedes OM 651 CDI Sprinter W906 W176 W246, ZT-04A2197- SMANN TOOLS. 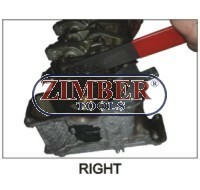 Mercedes Timing Chain Mounting Device M111 Petrol , ZR-36MDFTC - ZIMBER TOOLS.